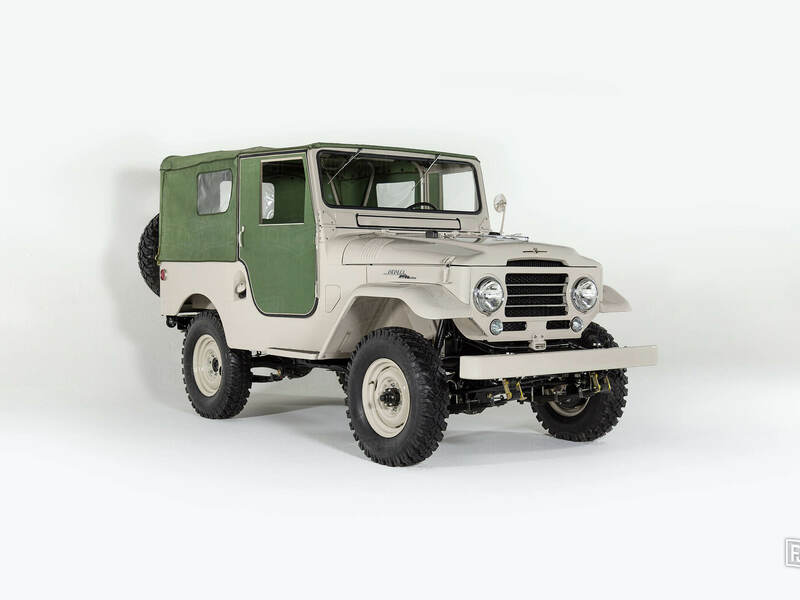 We are thrilled to have acquired this original Land Cruiser FJ25, the car that started it all! The Colombian Federation of Coffee Growers shipped this car from Japan to Colombia to pit it against the Willis Jeeps traditionally used in coffee growing farms. It was assigned to a coffee grower who kept it like new until we purchased it in 2015. This FJ25 even appears in his family’s photo albums, as they used it on their many road trips throughout the beautiful Colombian Andes. Although originally painted in factory beige, this powerful FJ25 was painted champagne by the coffee grower, who later passed his car collection to his son. Notwithstanding the heavy lifting it performed throughout its early life, the car was in great shape even before restoration began. This FJ jewel maintains many of its original traits, such as a 4-speed transmission, a rare feature for the series. With a modern Toyota 1GR-FE engine, the G40 Heritage by The FJ Company is an amped-up version of your favorite classic 4x4. Build yours today!